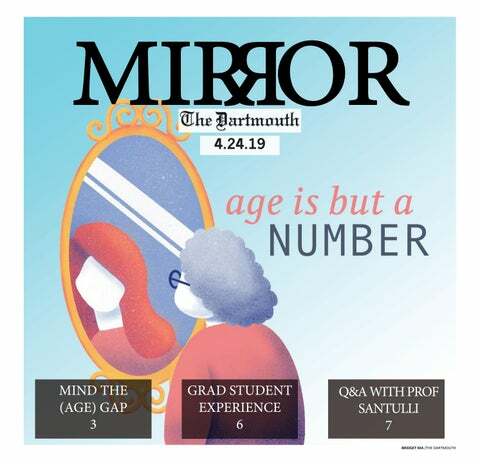 This week, The Mirror turns its attention to Dartmouth’s reach outside Hanover. On my foreign study program in Paris last winter, the extent to which I flaunted my background as a Chicagoan quickly became a joke among my friends on the FSP. Put it this way — I felt that I had an obligation to enrich the cave-dwellers who have the misfortune to inhabit Paris, a place widely considered to be devoid of any cultural interest whatsoever, with essential cultural artifacts like the recipe for Chicago hot dogs and the aesthetics underpinning the Cubs cap. Just exactly how Parisians — or on that note, New Yorkers — can navigate the modern world without a basic understanding of the history and symbolism of the Chicago flag escapes comprehension. It has surprised me just how much I’ve come to appreciate Hanover’s isolation. Without the distractions of theaters/galleries/clubs, students here turn their attention to creating strong communities. I’m convinced that Hanover’s isolation contributes to the intensity of the passions that dominate discussions about our social climate. Still, Dartmouth is really only isolated in overwrought thinkpieces about Hanover’s isolation. (See paragraph above.) There are more than 40 foreign study programs, a Global Village and a wealth of international programming. We enjoy a number of advantages of going to school in the woods — e.g. : hiking, Occom Pond, smooching on the golf course, more-than-smooching at the BEMA — but Dartmouth isn’t some sort of secluded monastery. In any case, I think you’ll enjoy the issue — and congrats on finishing week two.